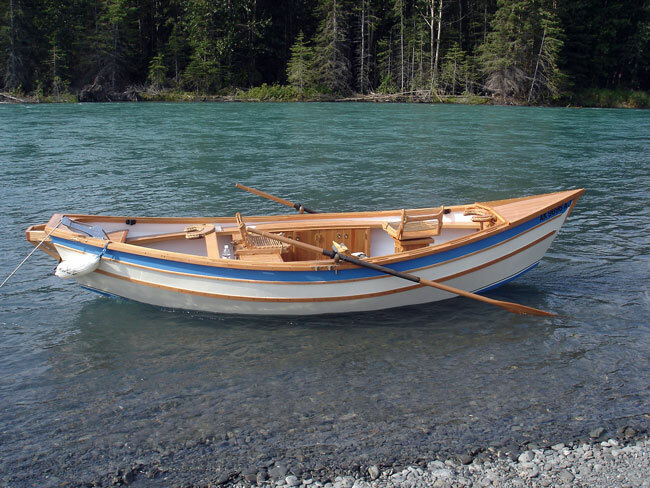 Lary Kuhns built this 19′ drift boat, IACOBOS from plans by Jerry Estes of British Columbia. IACOBOS is very rugged, with a 1″ bottom of CVG fir, glassed inside and out. Lary uses the boat to fish the Kenai River near his home in Homer, Alaska.